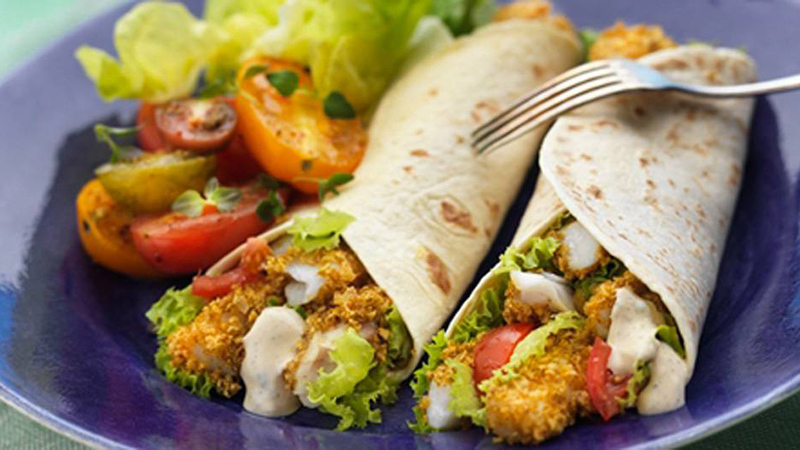 Fish fajita full of crispy strips of fresh cod in a tangy sour cream sauce tucked inside a toasty oven baked tortilla. Heat the oven to 225ºC, (205ºC for fan assisted ovens), gas mark 7. Cut the cod into thin strips and squeeze over half the lemon juice. Throw the cod strips, oil and Crispy Crumb Seasoning Mix into the Shaker Bag – give it a shake until the cod strips are fully coated. Spread the coated cod strips onto a non-stick baking tray and cook for 10-12 minutes, until nice and crispy. To make the dressing, stir the remaining lemon juice in with the sour cream. Warm the Soft Flour Tortillas from the instructions on the pack. 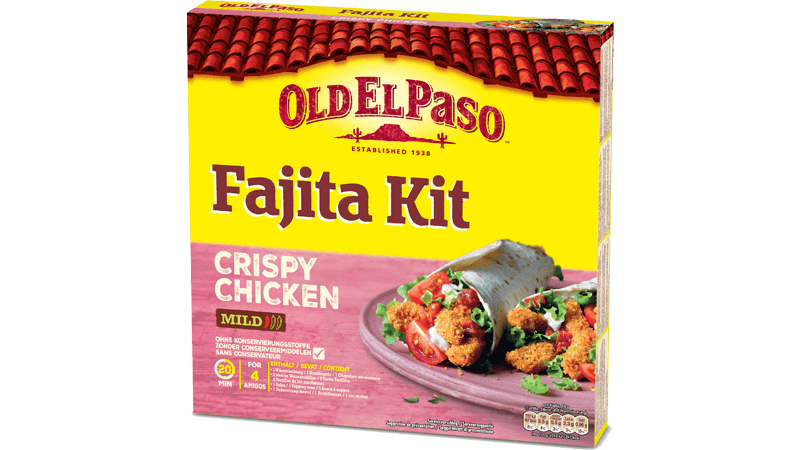 Grab a soft flour tortillas and throw on some shredded lettuce and crispy cod, then top with a dollop of zesty sour cream and Old El Paso Mild Original Salsa. Fold into fajitas, squeeze on some lemon and get stuck in!